I have a pair of wetsounds hlcd 6x9 to replace the mbquarts, which I will post a comparison vid afterwards since it seems to be a cost efficient upgrade. 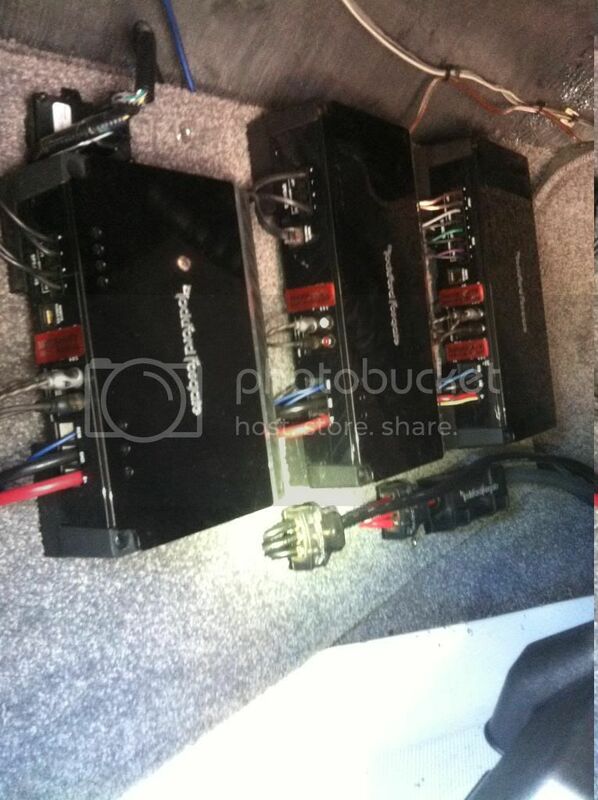 I believe the amp setup in my boat has a 400x2(towers) and 500x2(sub) all stock rockford punch amps. Im going to switch the 500x2 to be the tower amp as it can run 125rms @4ohm which is just under the 150rms the 6x9s handle. Will this be enough power for them? Also it appears my current tower amp is run normally, 1 channel for each set @4ohm I believe. These speakers say 4ohm so if I wired them at 2ohm (to achieve higher rms) would this hurt the speakers or amp? Or is there a way to wire them (maybe in series) that would achieve better power? And adjust your gains and cross over if you want to be getting any volume out of that amp. They come from the factory tuned way down and half the time not crossed over right. Alright thanks for the info. And im planning on tuning all the amps in the next week at the time I install my equalizer. Do you think the 125rms out of the 500x2 once i get the amps properly tuned will suffice? I dont believe the 25rms will be that detrimental db wise but im very unfamiliar with Hlcds. Just trying to avoid buying a bigger amp until I have the money to do rev10s. Also confused as to why they put a 500x2 on that 250rms sub? Seems like a waste but works out well for me. With most typical amps, when you drop from from a single 4 ohm speaker to 2 ohm by wiring two 4 ohm speakers in parallel, the amp does increase its output, but keep in mind, what ever that output is now at, its divided by those 2 speakers. You cant really change the nominal impedance of a speaker, just change the final impedance load at the amp by how 2 or more speakers are wired. Webster... I know this is off topic, bit can you tell me the dimensions of your factory amp rack? Ixfe - i will measure it tomorrow and let you know! Unfortunately I wasnt able to make it up to the lake today so I wont be able to measure it until next weekend!